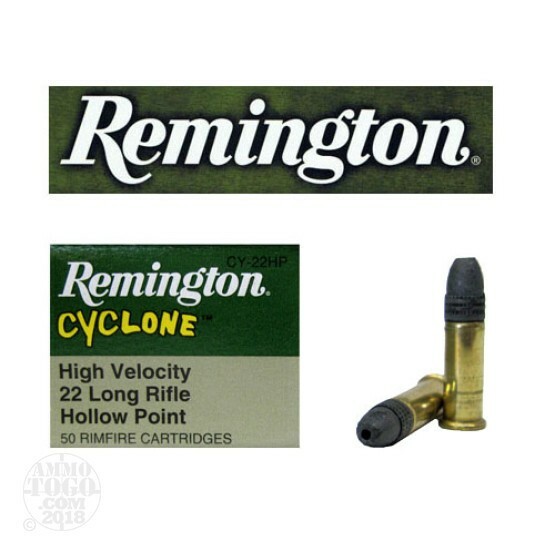 500rds - 22LR Remington Cyclone Lead Hollow Point 36gr. This is .22 LR Remington Cyclone Lead Hollow Point 36gr. Remington is one of the leaders in rimfire ammunition advancements. Their wide variety of loadings means that you are sure to find the right ammunition for your needs. Great for competition, hunting or plinking.